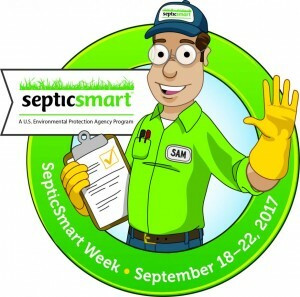 Join CSI Custom Septic, Inc. in welcoming Septic Sam for SepticSmart Week 2017. This cute little guy is full of information on ways to be a good septic owner. The EPA designates one week each year to educate homeowners with the ultimate goal of Protecting the Environment From Hazardous Sewage Waste Pollution. Anoka MN area residents can learn a lot from the Homeowner’s Guide, Easy Tips on How to Be a Good Septic System Owner, Holiday Prep Reminder, Septic System Basics, and more! Watch for upcoming CSI Blog postings titled SepticSmart Week Part 2 and Part 3 for more info on how to be a smart septic system owner. Think At The Sink – everything that goes down the sink drain ends up in your septic system and could have a big impact on the way it functions. Don’t Strain Your Drain – efficient water use and staggering the use of water using appliances can help your septic system to avoid failure. Keep Well Water Clean – keeping your septic system properly maintained helps to protect the cleanliness of your private water well. Shield Your Drain Field – your septic drainfield can be damaged from the weight of automobiles or the intrusion of roots from trees and shrubs. Protect It With Septic Inspection – making regular septic system inspections a part of septic maintenance can save you thousands of dollars. Don’t Treat Your Toilet As A Trash Can – your septic system can be damaged by disposing of garbage down the toilet. Never flush wipes, diapers, tampons, cigarette butts, dental floss, condoms, coffee grounds, kitty litter, etc. down the toilet. 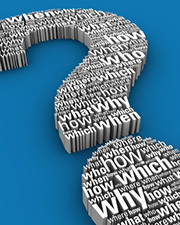 With another Annual Septic Smart Week comes lots of valuable information from the US EPA. CSI Custom Septic, Inc. is using this opportunity to bring some of these helpful tips and tricks that you can use at your Anoka MN home. Be sure to check back in a few days for the next SepticSmart Week 2017 blog post. Check out our Septic System Maintenance page for useful tips from a MPCA Certified MN Septic Professional. Contact CSI Custom Septic Inc. for Septic System Inspections, Installations, Designing, and Repairs at: 763-218-4769.